Siska Rappé, born in 1986, is a Flemish linguist and translator, who graduated in French, Spanish and Portuguese literature at the University of Ghent (Belgium). 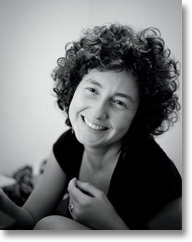 Since 2008, she has worked for the Belgian monthly review MO*. She is about to embark on a post-graduate dissertation which will focus on the generic problem in the literary work of Argentine author, Tununa Mercado.